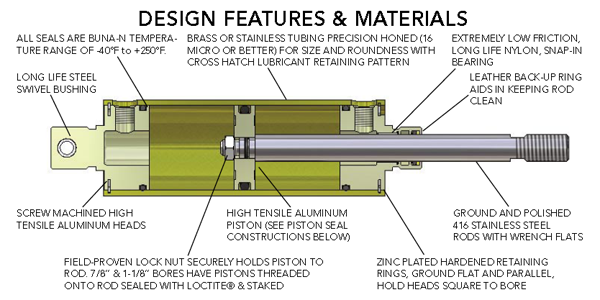 Allenair Corporation has pioneered in the manufacturing of high quality pneumatic and hydraulic cylinders, index tables, solenoid valves, air clamps and transfer pumps. Allenair offers a complete line of pneumatic and electronic accessories that enhance our entire product line. We can also meet your custom and special order needs. Our Long Island, New York location services the entire United States as well as overseas. Our products are designed to meet the ever increasing demands required by the food, medical and industrial standards needed in today’s world. Customer service is our number one priority! Outstanding distribution throughout the world along with total commitment to our customers has placed Allenair on the cutting edge of the fluid power industry. 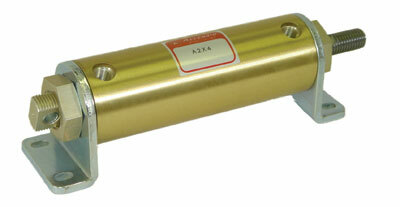 Allenair carries Air Cylinders of all types. We have hydraulic cylinders, air cylinders, small bore cylinders, Cyl-Checks, Air Clamps, Small Bore SS Cylinders, Position Feedback Cylinders and many others.